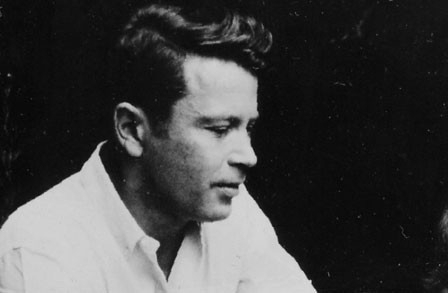 On July 18, 1967, Richard Wilbur was invited to give a poetry reading as part of the Summer Arts Festival at the University of Massachusetts Amherst. Wilbur read a number of his poems, explaining some of their inspiration and historical context. This was recorded by WFCR as part of the Five College Lecture Hall. Wilbur was born on March, 1, 1921 in New York City. He graduated from Amherst College in 1942 and received his M.A from Harvard in 1947. Early on in his writing career Wilbur expressed an interest in journalism, contributing to newspapers and editorials while attending Amherst College. After serving in WWII, his writing began to shift towards poetry as a means of describing the world around him. Wilbur won the Pulitzer Prize and National Book Award for his collection entitled Things of This World: Poems. Wilbur also went on to write, illustrate, and publish a number of of works for children such as A Game of Catch and The Disappearing Alphabet. Wilbur taught at Harvard University, Wellesley College, and Wesleyan University. Wilbur Married Mary Charlotte Hayes Ward, and together they had four children.